It's no secret that my favourite place in the world is at the beach. Lucky me, living in LA means going to the beach, even in February, is a thing. If I haven't told you yet how much I love you, California, this is it! We spent our past Sunday at the dog beach in Long Beach. There's not too many beaches around where you can bring your pup right to the ocean, but this little place is perfect. If you like dogs and the ocean (I mean, who doesn't) check out Rosie's Dog Beach! 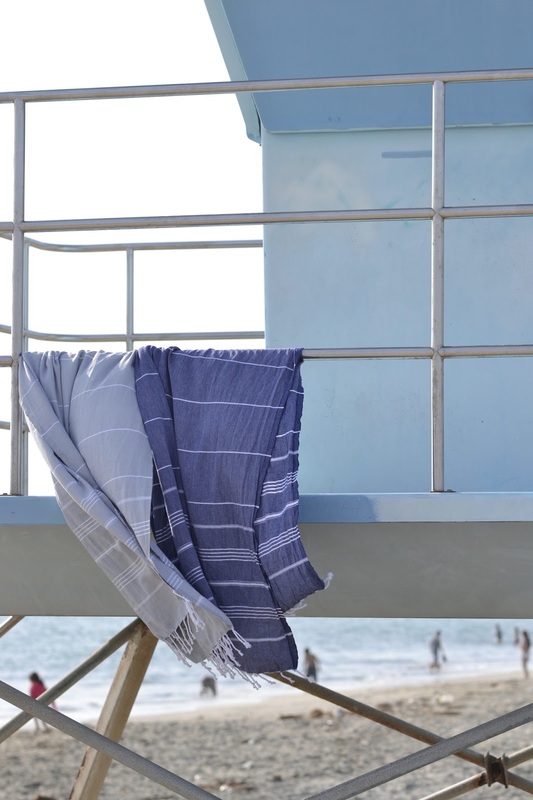 These Turkish towels from Cush & Co. are my favourite new go-to beach accessory. They're so lightweight, they don't make hauling my beach bag to and from such task. 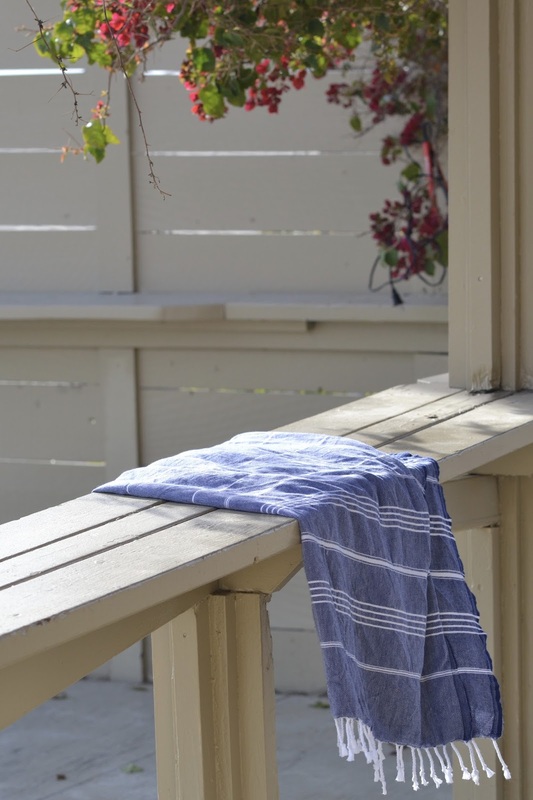 They're so soft and dry super quick, and I love they're minimalist stripe print. 9 comments on "Beach Bliss"
Gosh, I really ought to hit the beach more often. Your post has definitely got me itching to hop into the car and head over right now! Love that towel too. The fringe accent is super cute! This pictures look so lovely! I wish i could live near the beach, but over here it is too far away unfortunately. I hope one day to move to LA where the beach is right there!